I hope you've all had an enjoyable break over the summer holidays. In preparation for back to school we have published our updated Section 5 and Section 8 school inspection handbooks. As promised earlier this year, we remain committed to making as few changes as possible to these documents. The important thing to make clear is that our expectations for schools remain unchanged. The updates in the section 8 handbook are simply to make sure that it is in line with changes to statutory requirements, notably the monitoring of schools causing concern in response to the Education and Adoption Act 2016. The minor revisions made in the section 5 handbook are mainly to reflect the latest education policy. There are also a few small points of clarification on some aspects in the framework to make sure that our information for inspectors and schools is as clear as possible. The main updates that we have made to the two handbooks are outlined below. In the section on seeking views during inspections, we have updated information about how staff and pupils are consulted during inspections to reflect the fact that the surveys are now online. In the ‘schools causing concern’ section, we have made changes to guidance on monitoring inspections of grade 4 schools to take into account the recent legislative changes and the government’s new Schools Causing Concern guidance. Under ‘what happens during the inspection’, we have clarified details about who inspectors need to meet with to inspect governance at the school. Under ‘effectiveness of leadership and management’, we have added a reference to inspectors having consideration for governors’ development in their role as part of the effectiveness of school leadership. In the ‘outcomes’ section, we have amended the grade descriptors to reflect changes to national assessment and accountability measures. Linked to this, in the ‘outcomes’ section, we have also revised the guidance about inspecting the performance of disadvantaged pupils to take account of the new -measures relating to pupil progress , including comparing the progress made nationally with other pupils with the same starting points. The clarification about inspecting governance and who inspectors should meet with updated in the section 5 handbook is also reflected in the updated section 8 handbook. A minor change had been made to reflect the fact that Ofsted Inspectors (as distinct from Her Majesty’s Inspectors) may now be asked on occasion to lead section 8 ‘no formal designation’ inspections. Under ‘short inspections’, we have referred to online surveys to gather staff and pupil views. We have made a revision to the section on Requires Improvement monitoring to reflect the government’s White Paper proposal on improvement periods for schools with new headteachers. There is a detailed update to the guidance on monitoring of schools causing concern in the light of recent legislative changes (Education and Adoption Act 2016) and the revised Schools Causing Concern statutory guidance. This includes requirements relating to statements of action for schools in categories of concern. I hope you find this information useful and I look forward to working with you in this new academic year. You can also keep up to date with Ofsted news by signing up for email alerts, following Ofsted on Twitter and Sean on Twitter. Nice blog post. Hope you are doing well and May it will enhance the students knowledge and career to the next level. Thank you! Many thanks for your positive feedback. Thank you, this is useful. Bit of an odd question though- if my teaching is observed on a walk through during a short inspection, (sixth form college), do I have to receive verbal feedback or can I leave it? 67. 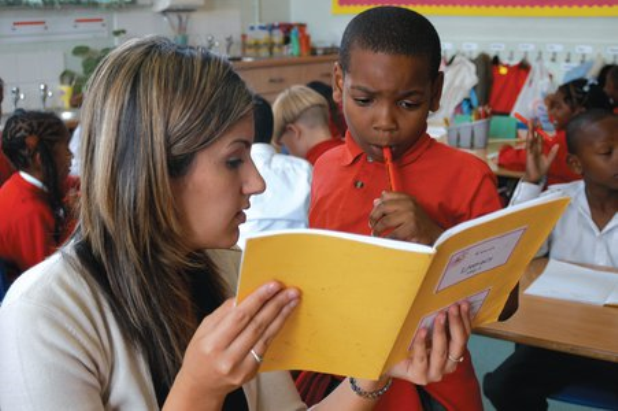 Inspectors must offer feedback to teachers. Feedback may take a variety of forms, at the discretion of inspectors, such as one-to-one or discussions with groups of observed teachers or with whole staff groups. The lead inspector should make the arrangements clear to senior leaders so that all staff understand how feedback will be conducted. These discussions should encourage a dialogue between the inspector and teacher about the strengths and weaknesses in the teaching observed, the context of the lesson and how the lesson fits into the pupils’ programme of learning. Thanks for the update. Can I ask: does Ofsted routinely seek the views of teachers? We've had a Section 8 that went to a 2-day inspection recently and at no point were teachers sent a link to a staff survey. Yes, we do. As set out in the inspection handbook, the views of staff and pupils in schools are gathered through online questionnaires. The inspection coordinator sends online links to the school alongside the formal notification of inspection. The school is asked to encourage staff and pupils to complete the online questionnaires. How does Ofsted react when teachers and students have not been emailed the questionnaire? We weren't. But an email from a pupil sent to our Head was used four times despite being sent after the inspection. Hi, Ofsted encourages schools to ensure all pupils and staff complete the online questionnaires. Full details are provided to the school at the point of notification of an inspection. On rare occasions that schools are unable to access the questionnaires, the inspection team will ensure that the views of staff and pupils are gathered as part of the usual inspection activities. That’s interesting. There was no attempt to seek the views of our non-HOFs/NQTs. The aforementioned groups were the only ones who were met. I’m puzzled as to how a questionnaire wouldn’t automatically be used or what would impede one being sent out to all staff. Hi, as previously mentioned links to the Staff and Pupil questionnaire are provided to the school upon notification of inspection. The inspection coordinator sends the online link to the school alongside the formal notification of inspection. The school is asked to encourage staff and pupils to complete the online questionnaires. Staff are required to complete their questionnaire by 11am on the second day of inspection, where practicable. In addition to the questionnaires, the inspectors also request to speak to the members of staff. We are unable to comment on why the questionnaires was not sent to certain members of staff at the school.